February is a quiet month in the garden. But even in this, what is often the coldest and dreariest month of the year, there are signs of life starting to emerge and the first faint stirrings of the coming spring. Look out for the first flowers braving the cold weather as the garden begins to reinvent itself. Here are my 6 best february-blooming plants to bring charm and colour to your winter garden. The ever-popular Galanthus will be out in force in February, heralding the end of winter and the promise of spring just around the corner. Snowdrops are extremely hardy, despite their delicate appearance. They will grow in most soils and they prefer light shade to full sun. Large drifts of naturalised snowdrops create a real impact, resembling a carpet of snow on the ground. They brighten up dark soil under trees too. 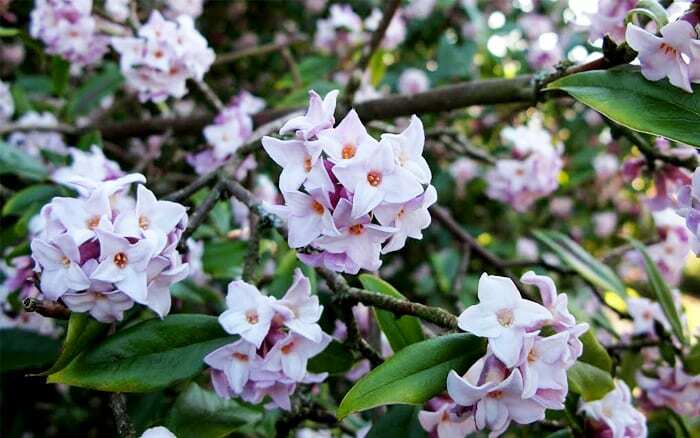 This is a very popular late winter-flowering shrub. Camellia ‘Elegans’ has beautiful deep pink double flowers that look spectacular when the rest of the garden is still in the depths of winter. 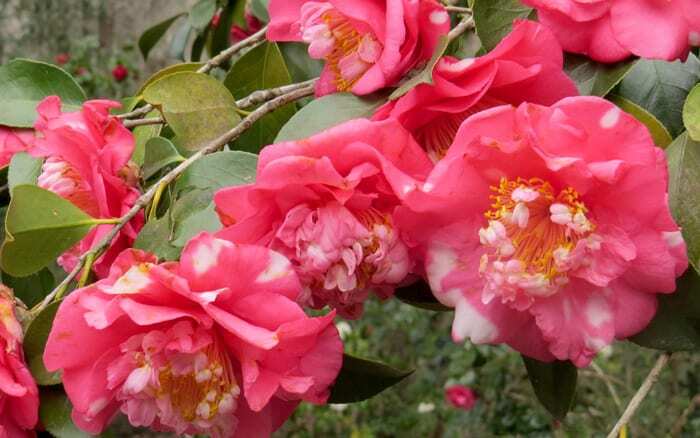 All camellias need neutral or acid soil so use ericaceous compost when planting in a container. Camellia will tolerate shade, but avoid an east-facing position. Emerging buds will need protection from extremely cold weather fronts. This is an upright evergreen shrub that produces delightful fragrant pink and white flowers during late winter and early spring. It is a slow-growing shrub that hardly ever needs pruning. Daphne will thrive in any fertile, free-draining soil and is also happy in containers. However, bear in mind that it does not like to be transplanted, so choose your site carefully. Plant it somewhere you will fully appreciate the intense fragrance. 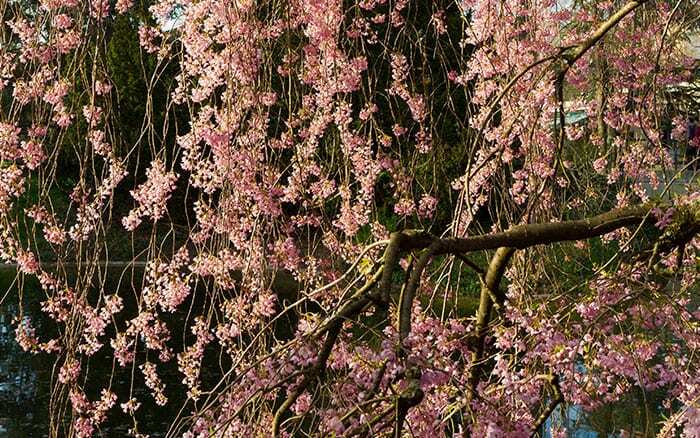 This wonderful cherry actually blossoms on and off from November right through to March – something unique among ornamental cherries. 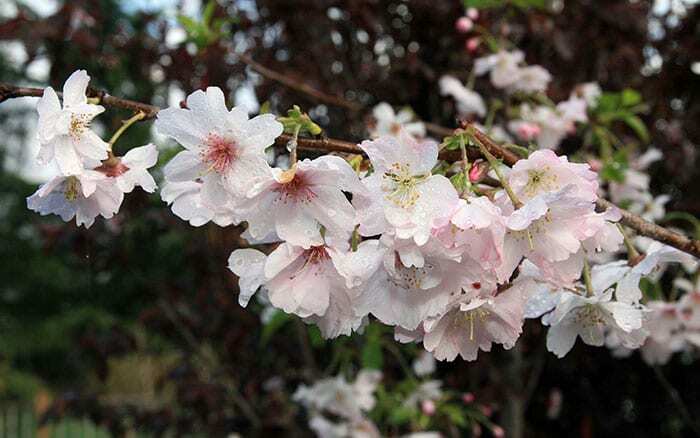 It is a small deciduous tree, growing to between 4 and 8 metres, that creates fabulous displays of pale pink flowers throughout the winter season. This tree makes a wonderful central feature in the garden, providing green foliage through spring and summer, turning yellow in autumn, and then brightening your garden with colour through the coldest months. Give it full sun and it will be happy in any well-drained soil. These purple and yellow, goblet-shaped beauties are one of the first crocuses to flower, bringing some much needed late winter colour. Wonderful in beds and rock gardens, but they naturalise very easily under lawns too. Give them full sun or light shade and any well-drained soil. 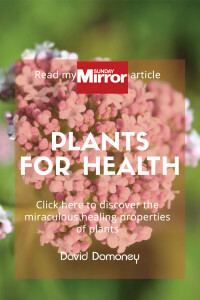 They are perennials, but they do need to be planted in autumn. 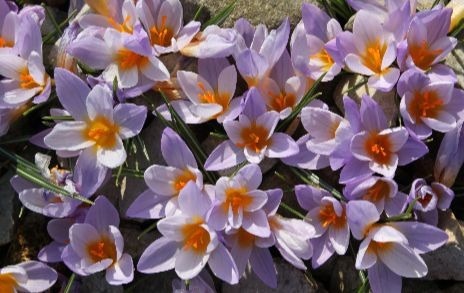 If grown in your lawn, you will need to refrain from mowing the area for 6 weeks after the crocuses bloom, or they will not come back the following year as the cormlets will be underdeveloped. This beautiful creeping vine is often used to decorate archways and doorways, but can also be used as ground cover. 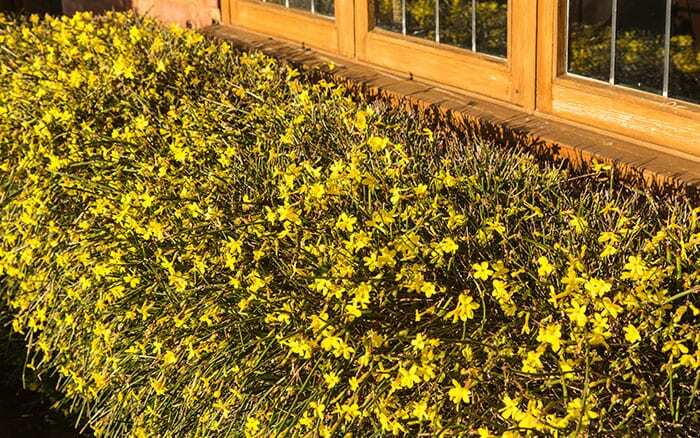 A very hardy plant that often comes out when temperatures are at their lowest, its sunny yellow blossoms are a winter necessity. This tough shrub will survive almost any sun and soil conditions you can throw at it. Though not technically a climber, it can be trained easily on wires or trellis, but is just as lovely left to scramble over a low wall.